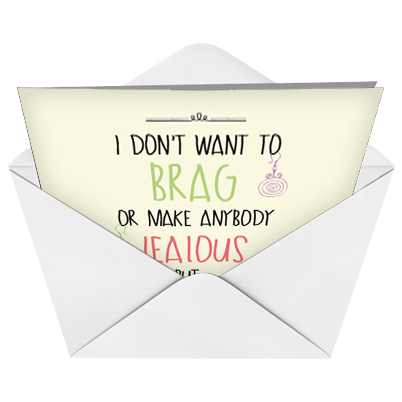 Cover Reads: I Don't Want To Brag Or Make Anybody Jealous But... I Can Still Fit Into The Earrings I Wore In High School. Go ahead and brag. There are certain things, like your friendship, that deserve boasting about. Remember the outfits you wore back in the day? We're sure you and your friends have plenty of pictures that would make great blackmailing material. It doesn't matter what generation you and your friends grew up in: Whether it's big hair, stirrup pants, puffy jackets or black lipstick, there's probably not much from your high school wardrobe you'd actually WANT to wear. 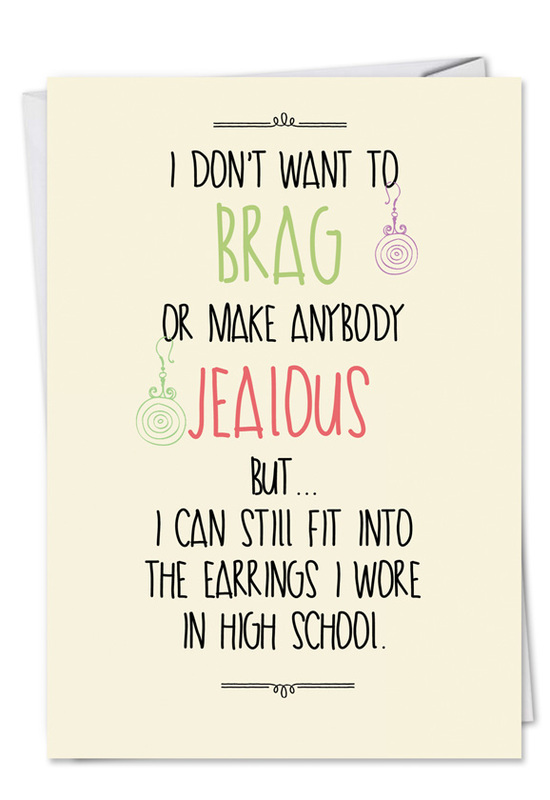 This funny birthday card is perfect for longtime friends who remember all those terrible fashion trends. 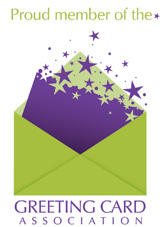 Part of our Talk Bubbles line, this card will start plenty of storytelling and memory reliving that will make the birthday party tremendously fun. 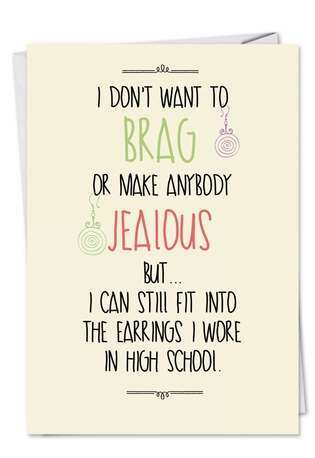 Yep, so not only do the earrings still fit, but so do the two of you. 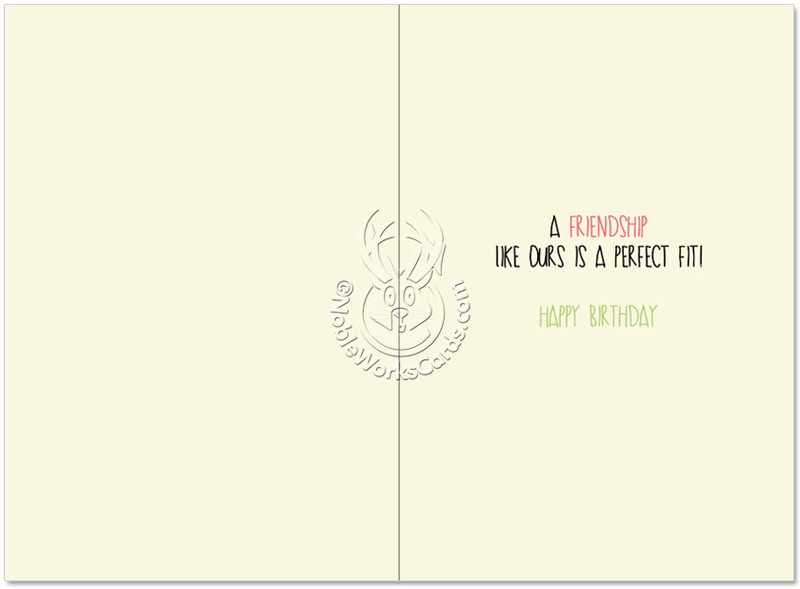 Wish your perfectly fitting friend the happiest of birthdays!